Kowen Forest Ride tickets on sale now! 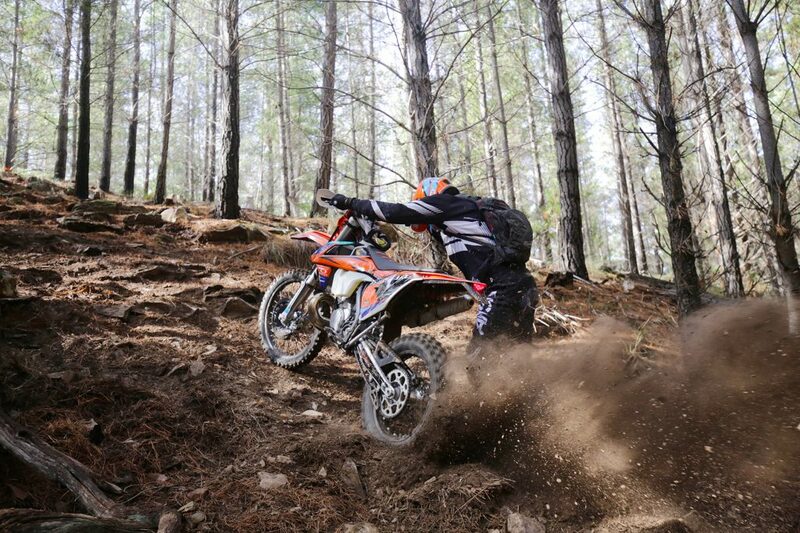 Preparations are underway for the 2019 Kowen Forest Ride, which is shaping up to be bigger and better than ever thanks to the efforts of the Dual Sport Motorcycle Riders Association. The annual ride is taking place on Saturday, 6 April and Sunday, 7 April with gates for camping opening on the Friday at 3pm. Kowen Forest is closed to the public but DSMRA gains exclusive access to hold the event. Over 180km of perfect pine forest singletrack is in the process of being mapped, cut, and marked by DSMRA for riders to enjoy with directional arrows guiding the way. There will be three loops to enjoy, each one featuring chicken routes for less confident riders and gnarly sections for the Graham Jarvis wannabes. You’ll be well looked after over the course of the weekend. Ride central will include a beer garden set-up by Capital Brewing Co and loads of different food options. Plus, entertainment on the Saturday night will be a stunt show by the MX Kings stunt team. As part of the $220 entry fee you’ll go in the draw to win one of two new KTMs (500EXC-F and 300XC) and the chance to snap up some of the $5000 worth of dirtbike goodies. Plus, every entry to the 2019 Kowen Forest Ride receives a six-month subscription to ADB. Riders must be licensed and bikes must be registered – Vic rec rego is not accepted.